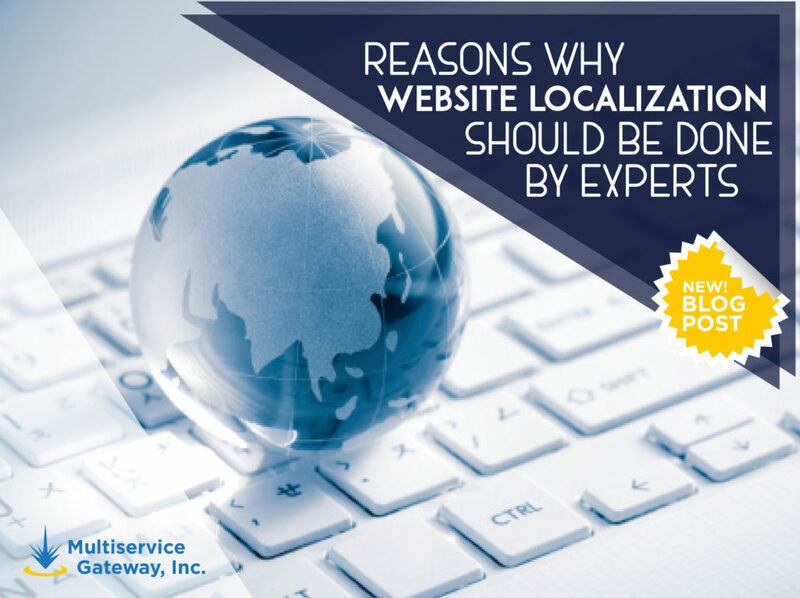 Reasons Why Website Localization Should Be Done By Experts – Multiservice Gateway Inc.
Less errors and more communication. Professional translators are well versed with the local language, and only hire natives to handle your localization needs. They do not just translate your content, they give it a local feel and taste and ensure that there is harmony and flow in your content. They not only have the right words but also maintain the tone of your website through years of experience. Professional specialists in your niche. Whatever niche you are in, professional translators will always fill it in the best way possible. Translation companies have experts in a variety of subject matter, and only an expert in your field will be allowed to handle your website localization needs. Your content will thus be as accurate as possible leading to more site traffic. Website localization experts understand both the market and competition, and you are guaranteed to receive value for your money. They will do research to ensure that nothing is left hanging, and that your content is appealing to the site visitors. This will be done in the shortest time possible, boosting your efficiency as a business owner.